If you have an opportunity that you think Rice Orthodontics may be interested in, please mention it at your next appointment. Although we can’t participate in all opportunities shared with us, we are committed to making an active contribution in the community we serve and we enjoy getting to know the organizations that are meaningful to our patients. 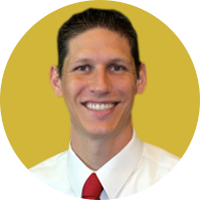 Dr. Rice completed his residency in orthodontics at Jacksonville University, graduated from dental school at the University of Michigan, and received his undergraduate degree in economics from Emory University. He also did a general dentistry residency at St. Luke’s / St. Vincent’s Charity Hospital in Cleveland, Ohio. Dr. Rice is passionate about the field of orthodontics and is an active member of industry organizations, including the American Association of Orthodontists (AAO), the American Dental Association (ADA), and their regional chapters, respectively. Dr. Rice grew up in Orlando and lives locally in Jacksonville with his wife and two sons. 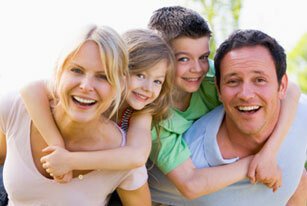 Many years of experience treating patients in the field of orthodontics. Well-versed on the products, techniques, and treatments used in the practice. Plus, regular continuing education and training on new developments in the field. Sincere interest in patients, their families, answering questions, and developing rapport, and an efficient working relationship with Dr. Rice and with one another. Here at Rice Orthodontics, we understand the importance of receiving treatment in an enviroment that’s welcoming, safe and comfortable. Please feel free to come by or schedule an appointment for a complete tour. We will also help you review your insurance benefits to determine coverage and your preferred course of action. If your insurance covers orthodontic treatment, we will file your claims for you once you begin treatment. If, during the course of treatment, your benefits change, the financially responsible party is accountable for all charges.